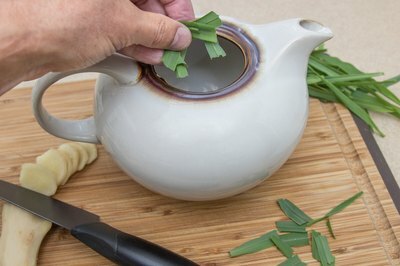 If you’ve bought whole stalks of lemongrass for a Vietnamese or Thai recipe, and only need the subtly flavored bulb, lemongrass tea will come to the rescue as a lovely use for the green leaves that branch apart above the bulb. Given the sturdiness and length of the broken-up leaves, you’ll need a teapot for the brewing stage. 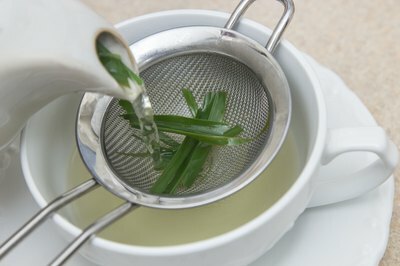 Rinse the trimmed tops of the lemongrass stalks and set them out to air-dry on a rack if you don’t plan to make the tea immediately. Store them in an airtight container in the lowest part of your refrigerator or in the freezer. 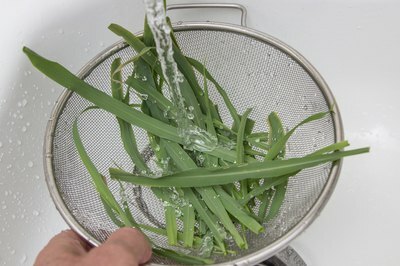 Lay out the lemongrass on a work surface -- use 4 stalks of fresh lemongrass or 8 dried stalks per cup of boiling water. Break up the stalks into pieces and place them into a teapot with several pieces of unpeeled ginger root. Add boiling water and cover the pot. Allow the tea to steep for 20 minutes. 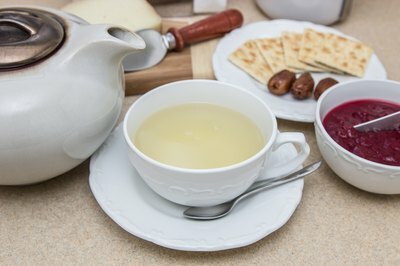 Pour the tea, through a strainer if it doesn’t have one built into the spout, into each cup.